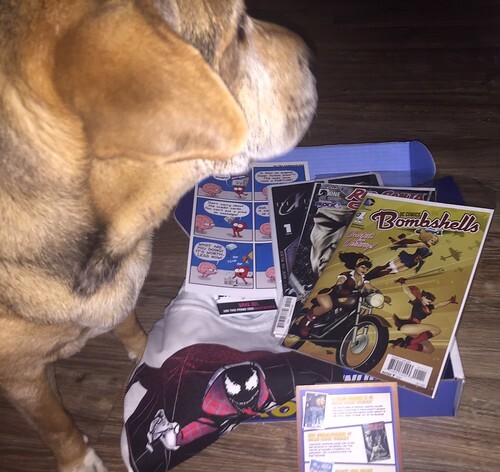 Comic Block starts at $13.99 plus shipping/handling. There’s a discount if you buy more than one block (others include: classic, arcade, boy, and girl). Can you tell Lois Lane is used to modeling for me? She kept getting in the way for this one! 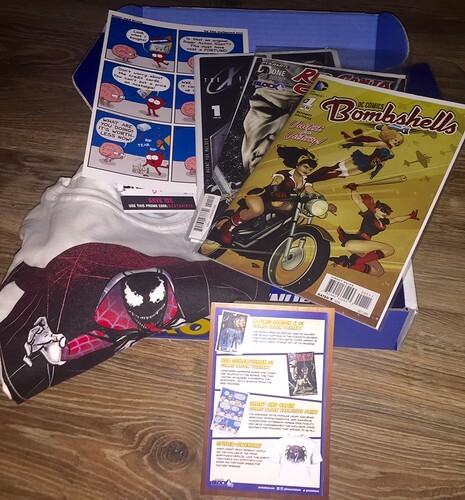 Each Comic Block comes with 1 tshirt, 3 comics, and 1 collectible. And a nice card details each of the included items. 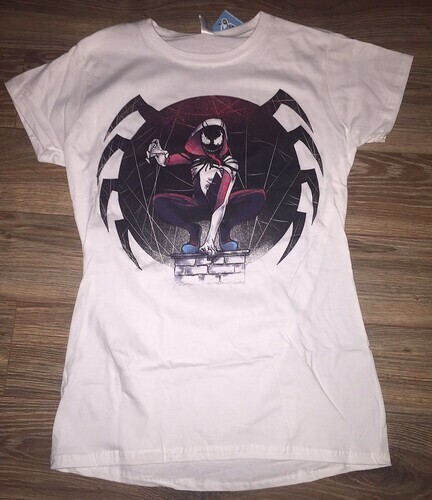 Spider-Gwenom Shirt – This could have been a hit for me if it had been just Spider-Gwen – but the face is Venom, and isn’t something I’d wear out and about. DC Comics Bombshells #1 – A re-imagining of several famous DC characters as pin-up style gals. The feminist in me just doesn’t get anything out of this one. Red Sonja/Conan #1 – As I pretty much read mostly superhero comics, I actually haven’t read any Conan comics. I was happy to see this included. 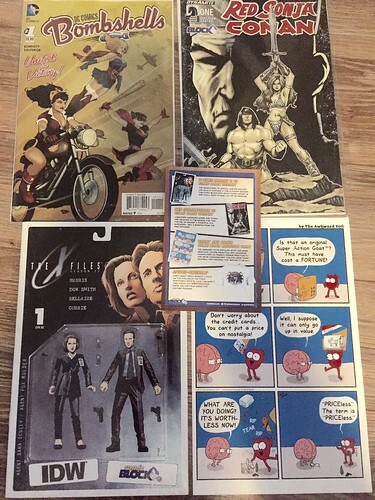 X-Files Season 11 #1 – This is the comic I was most excited about – and of course, looking forward to the upcoming new series! This was great timing. Heart and Brain Print – This was the “collectible” included in the box. Quite a disappointment – not only in the comic itself but it was just on a piece of cardboard. Summary: Other than a couple of the comics, this was a miss for me in terms of value.